Volunteer in Kenya with the Center for International Volunteering Services (CIVS Kenya). We are Kenya’s most affordable and trusted volunteer organization. CIVS Kenya has a wide range of volunteer projects available in rural and urban Kenya including:teaching, childcare, environmental protection, agricultural work, health care and supporting people with disability. Short-Term Volunteering is perfect for people who only have little time or don't have the resources for a long-term volunteering stay but want to do something beyond just traveling.It is an interesting and meaningful way to travel with purpose and spend 2-3 weeks in a foreign environment. Our Short-Term Volunteer opportunities can host between 10 - 20 people from different countries. The volunteers work together towards a certain aim, like building a fishpond, constructing a new schoolroom or raising awareness about a certain topics, like HIV/AIDS. A short orientation session is given to the volunteers before the project begins to help them get acquainted with the project aims, the host organization, the local customs and culture. Working and living together with other volunteers from around the world provides an excellent opportunity to make many new friends. Learn about Kenyan culture and people, and gain new skills and experience. You can make a difference in Kenyan communities that really need help. The unique environment in a short term volunteer project (Workcamp) can reveal new strength, skills as you find out that you are capable of doing things that you've never tried before. Besides all this, the experience you gain through volunteering can help you develop your career and build your resume. CIVS Kenya offers Long Term Volunteering Projects between 1 - 12 months. Long Term Volunteering is a non-formal international learning experience, which develops a volunteer's skills and knowledge in the area of volunteering. It also deepens the volunteers sensitivity towards social and cultural differences and builds self-confidence and problem solving abilities. Long-term volunteering is individual rather than in groups. 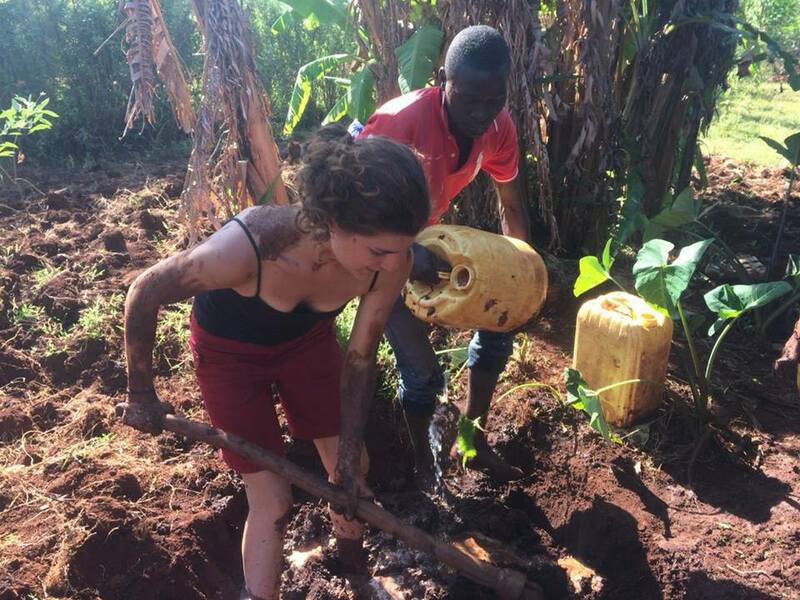 Often there are 2-3 volunteers working on a certain project while they immerse in the Kenyan culture, allowing them to integrate better with the local community and actually become part of it. Over time volunteers can learn the local language, make friends and better understand the needs and problems of the locals. This enables the volunteer to take a more active role in the running of the project by implementing their own ideas for improving peoples life’s. CIVS Kenya gives volunteers a short orientation session at the beginning of the project. This to helps the volunteer get acquainted with the project aims, the host organization, the local customs and culture. You can choose between 25 different long term volunteer projects all over Kenya, like Orphanages, Schools, Microfinance, Environmental Conservation, Agricultural Training & Conservation or Arts. This is a volunteer program coordinated by the Government of Germany that enables young people to attain plenty of different skills such as responsibility and learning skills while volunteering in a developing country such as Kenya. The program provides an opportunity to young people to participate in the achievement of Millennium Development Goals in the developing world. Some of the millennium development goals this volunteer program focuses on are poverty reduction, environmental conservation, promotion of universal education and HIV/AIDS awareness. This volunteer opportunity also gives participants an opportunity for self realization and enables them to fully use their skills and knowledge in helping the different communities fully realize their potential toward sustainable community development. It also gives the participants an opportunity to understand the local people and the enormous work that still has to be done in Kenya.